Over 43% of search engine traffic to our website is from insurance professionals (agents & brokers looking for markets). In the ever-changing world of digital marketing, SEO still ranks at or near the top of the list in terms of cost/benefit ratios. Leads that are effectively sourced through SEO efforts are 'active.' There is an immediate need to be fulfilled, and these leads tend to have higher win rates. Hundreds of our advertisers' storefronts are in the Top 5 rankings on the major search engines. Here are 10 live samples. Note - results may vary based on your location (data center location and index that the results are displayed from). We employ a proprietary, patent pending, and highly effective onsite SEO algorithm that drives search traffic to your CompleteMarkets Microsite (storefronts & company profile). This approach has proven to be very effective in delivering high quality leads to our clients. Research and identify the more prolific keywords. Create silos of related content through your CompleteMarkets storefronts. Be effective in re-working your content to be search engine friendly. Track, understand, and review results of the on-going effort. 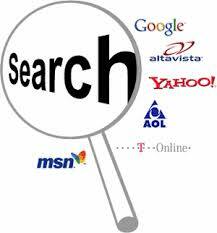 Periodically adjust for better rankings, on the major Search Engines – Google, Bing & Yahoo. "CompleteMarkets has helped Gateway Specialty Insurance greatly since we signed up with them in January of 2013. They have been bringing in multiple agency leads for us and we have been coming up more in Google searches for nonprofit and social service insurance as a result of their SEO expertise.